Everything leads up to this! If the stakes don’t reach catastrophic, you’re not reading a superhero story. 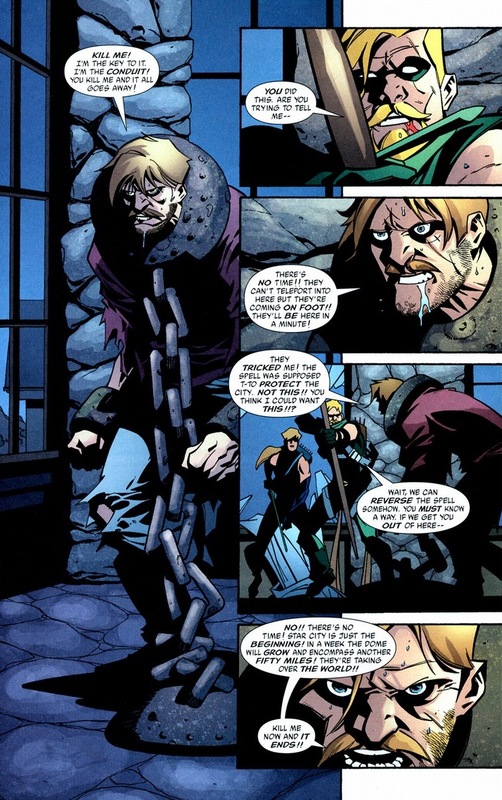 And Green Arrow, our promiscuous Robin Hood with gorgeous facial hair and latent anger issues, is all that stands in the way from a demonic takeover of Star City. 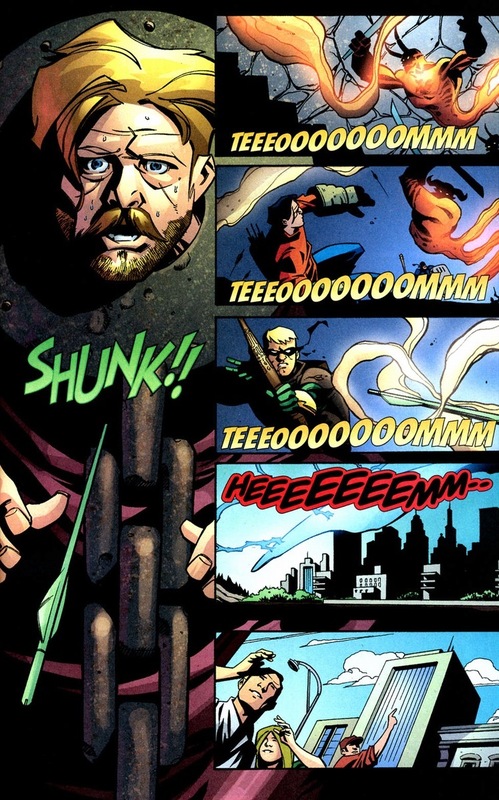 Well, Green Arrow and a few of his buddies. 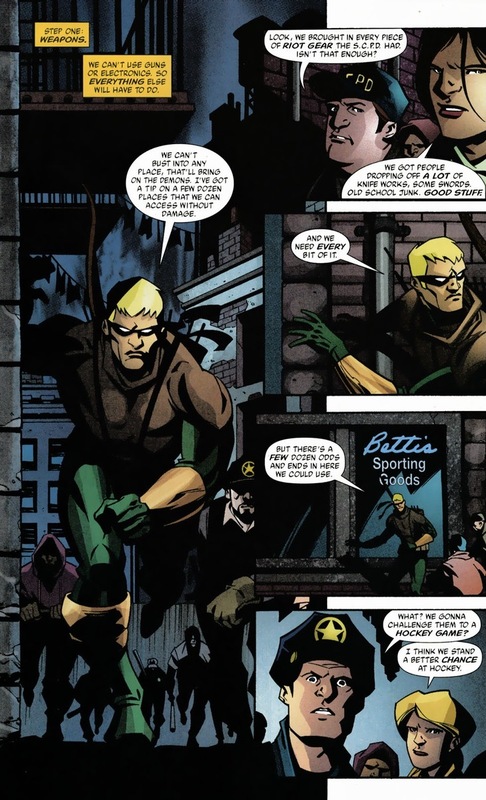 Like Gotham City, Green Arrow’s hometown also has its fair share of mobsters and crooked cops. Luckily, they also don’t want these demons slicing them in half every time they jimmy a car door. 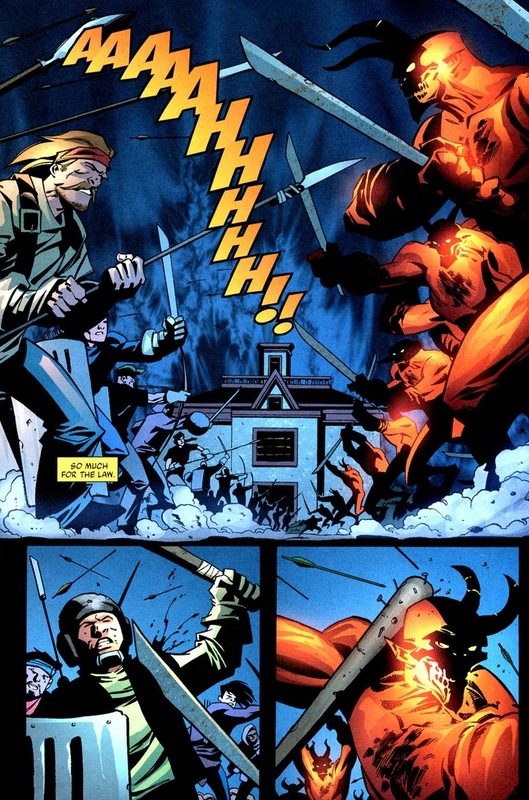 So with the cop/mafia army gathered and led by the town’s lovable vigilante, the pieces are set for a final confrontation with the law-abiding hellspawns. First on the to-do list: weapons. Step two: training. But I’m going to skip all that. 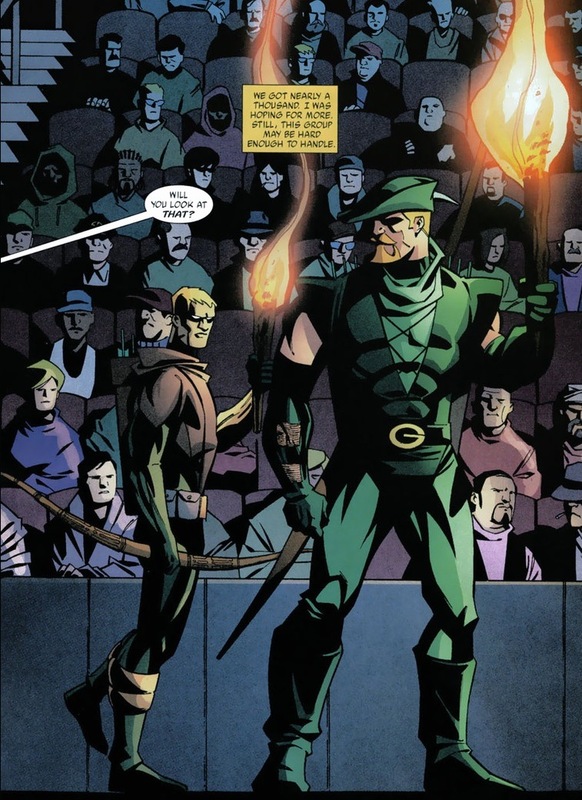 Still, with time being the essence and Oliver Queen and son being the only skilled archers in the group, wouldn’t an extra hand be a nice boost? Like say, the HIV-positive teenager living in Queen’s house who has spent her every waking hour smashing bullseyes? That’s right. 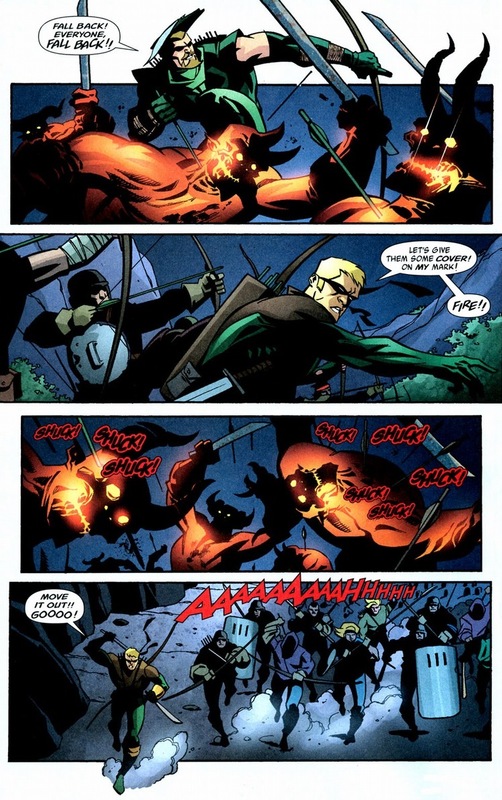 While Batman makes his Robins play detective games to prove their worth, Green Arrow prefers to beats the crap out of his sidekicks. No one sucker punches that well-groomed face. 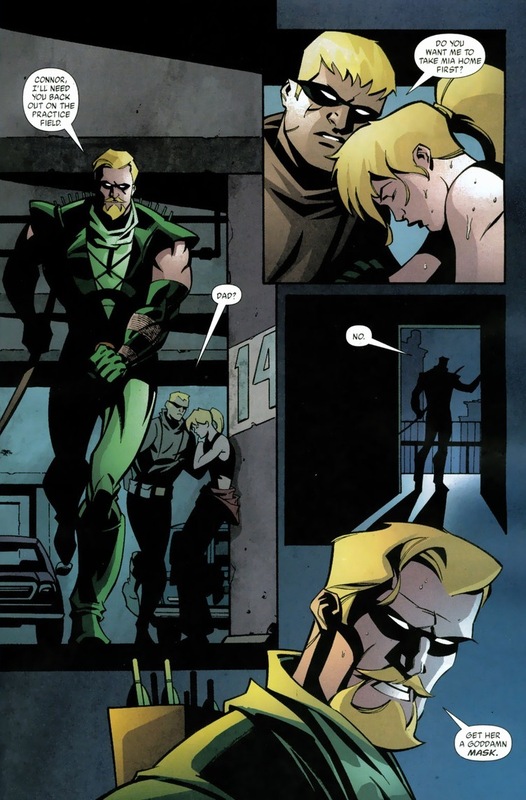 Right now, Green Arrow doesn’t have a sidekick. 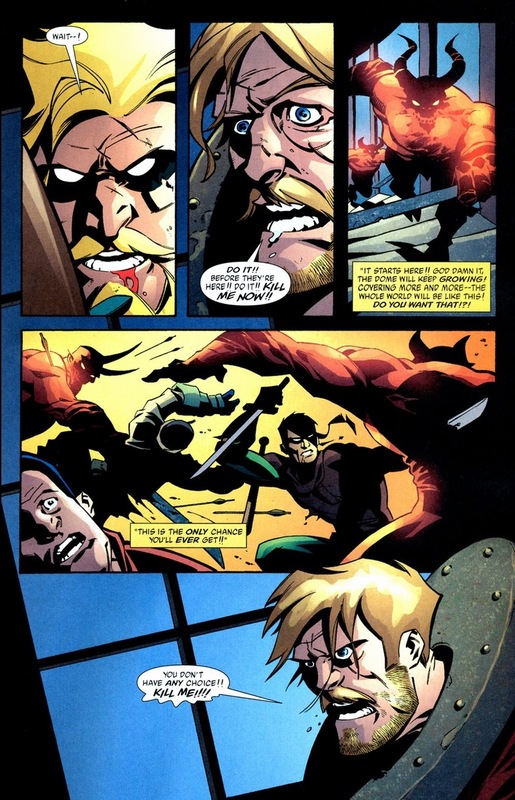 His first Speedy, Roy Harper, went the Jason Todd route — guns, name changes (Red Arrow, Arsenal), and other basic anti-hero characteristics. 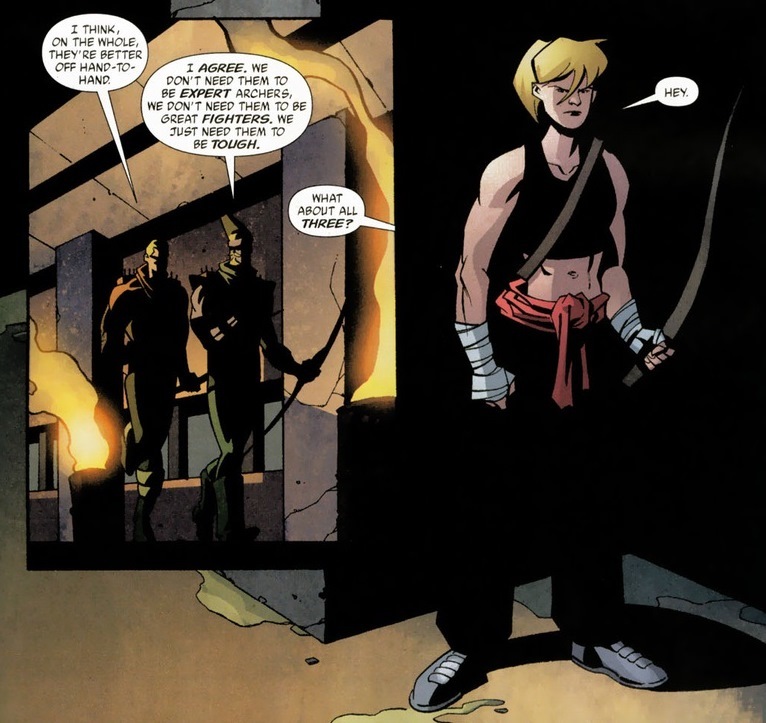 We sometimes forget that Connor Hawke still retains his Green Arrow title from before his father came back to life, making him Queen’s equal, not sidekick. 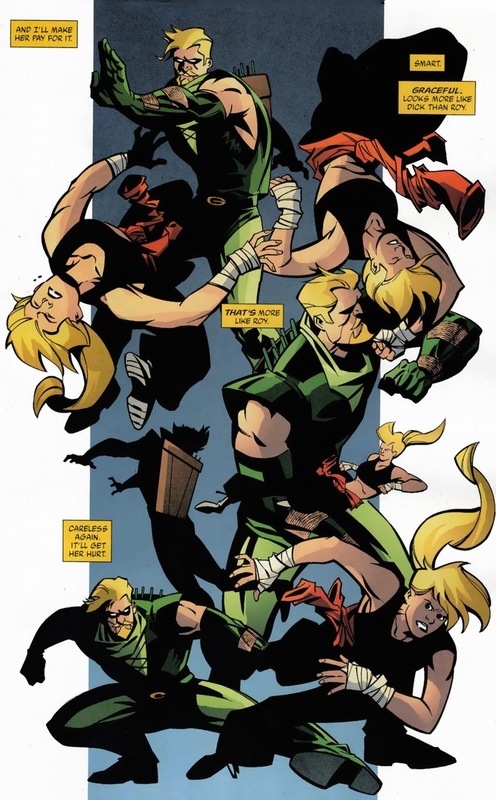 In one of the coolest moments of this arc, the Green Arrows welcome one more into their ranks. Meet Mia Dearden: high school senior, former prostitute, brand new Speedy. 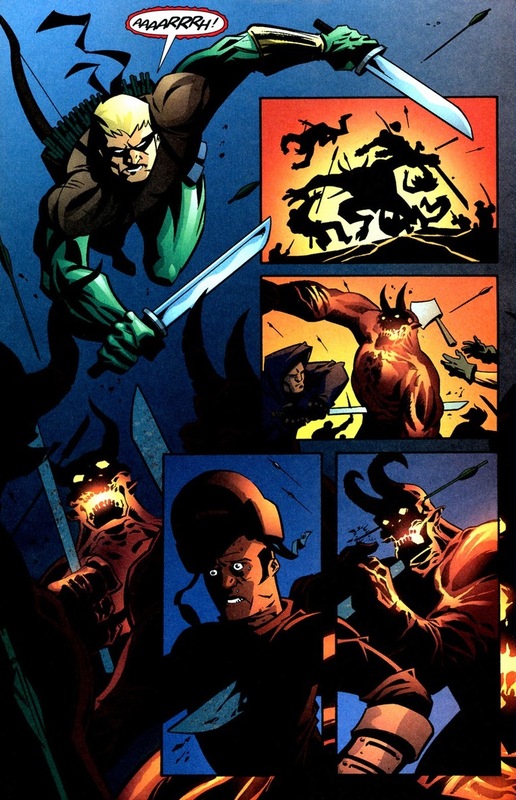 Just in time for the final battle as Star City fights the demons for the fate of their beloved town. Y’see, demon hordes can be easily distracted. Especially when a thousand mafiosos and policemen whack them with baseball bats. 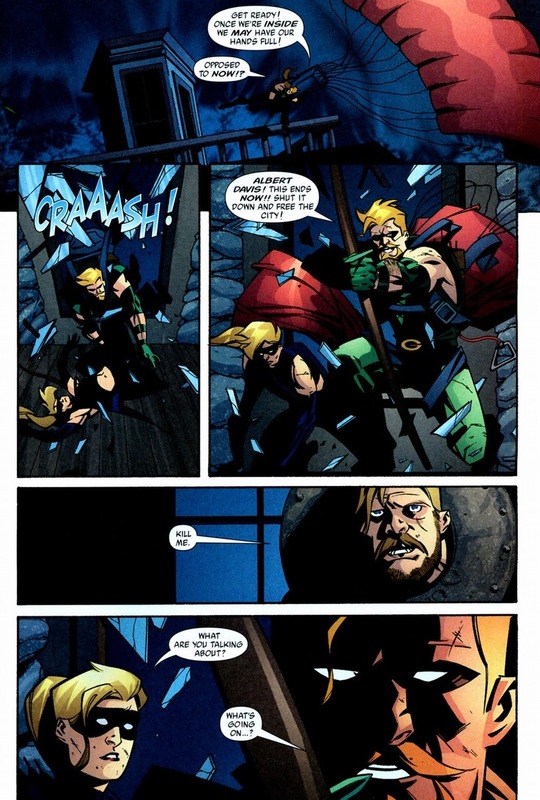 Remember when Batman conversed with Jason Blood last article? Cut off the head and the serpent stops squirming. You know that when you summon forces of hell that sometimes those wishes can backfire? 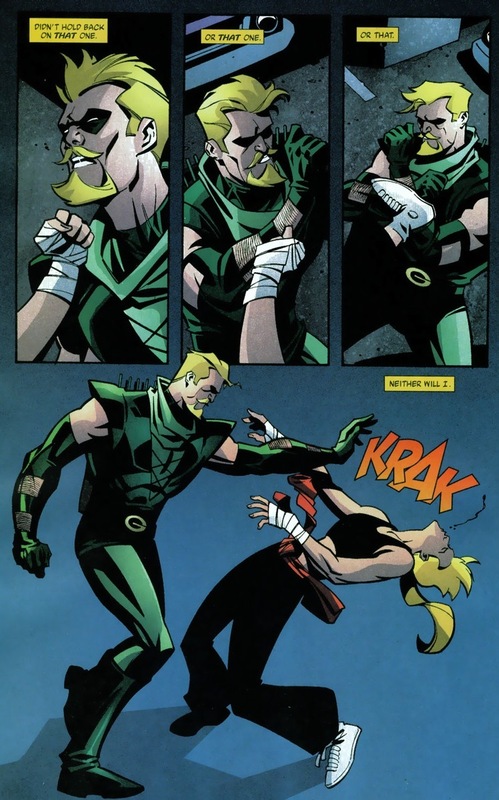 Before we reach our story’s climax, understand that blood drips freely from Green Arrow’s hand. He has killed before. 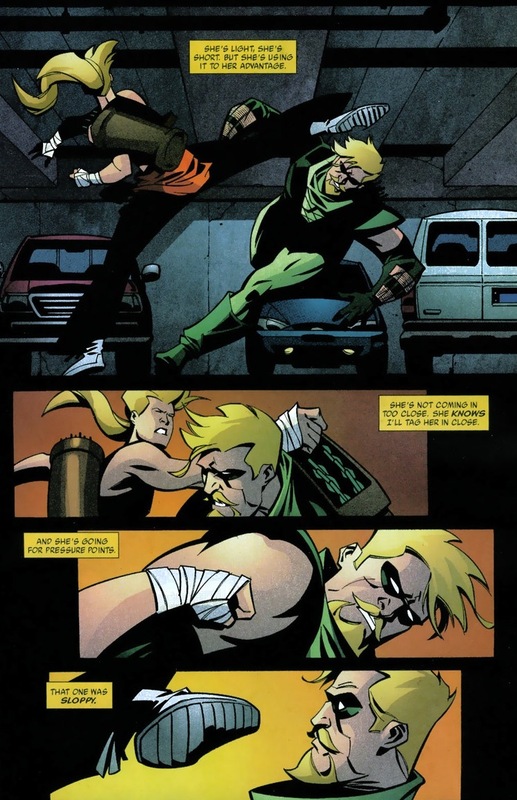 I mean not anymore, but the Green Arrows do tend to have a baptism by blood when it comes to their little superhero club. 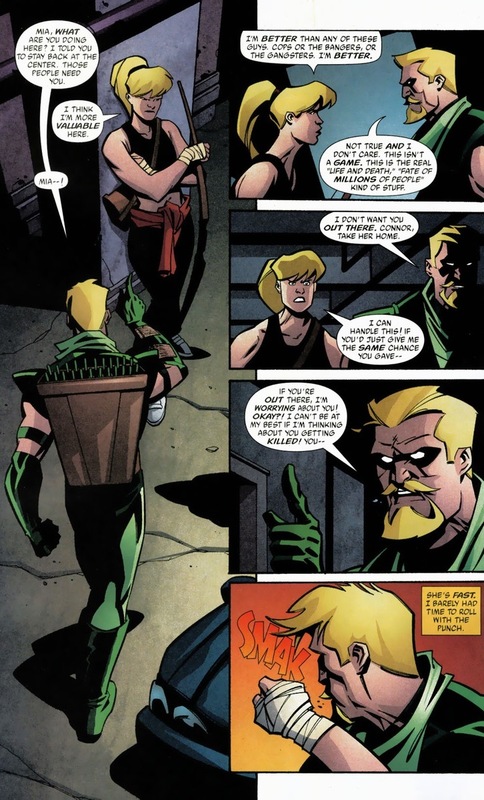 Before Green Arrow’s forced to impale the sad magician, we should hear his depressing reasons. Queen’s a better person now, I promise. Thus, we sit between a rock and a hard place. No wonder superheroes are psychological wrecks. 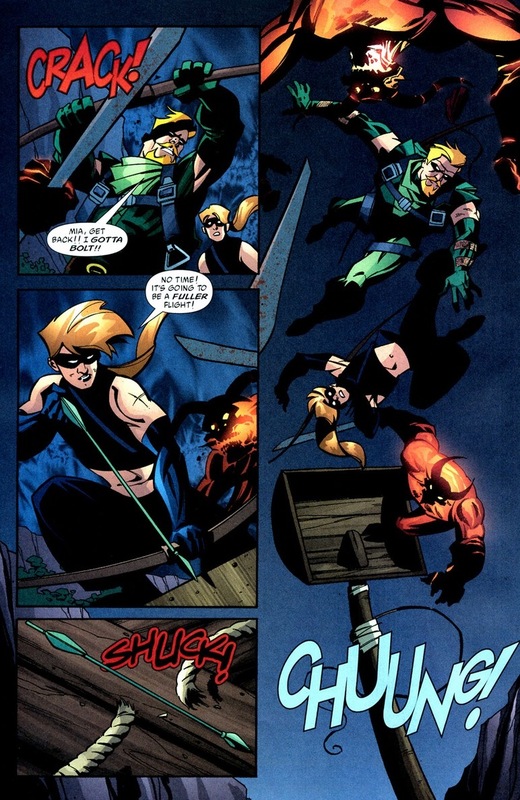 Meet Mia Dearden: high school senior, former prostitute, brand new Speedy, murderer. 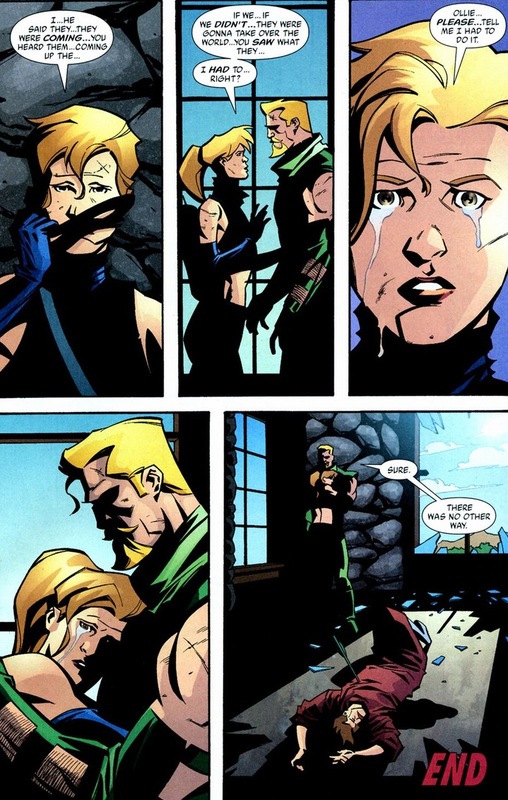 She ends up okay, including a fancy Teen Titans membership, a badass superhero costume, and the unrelenting trust of her wonderful mentor. 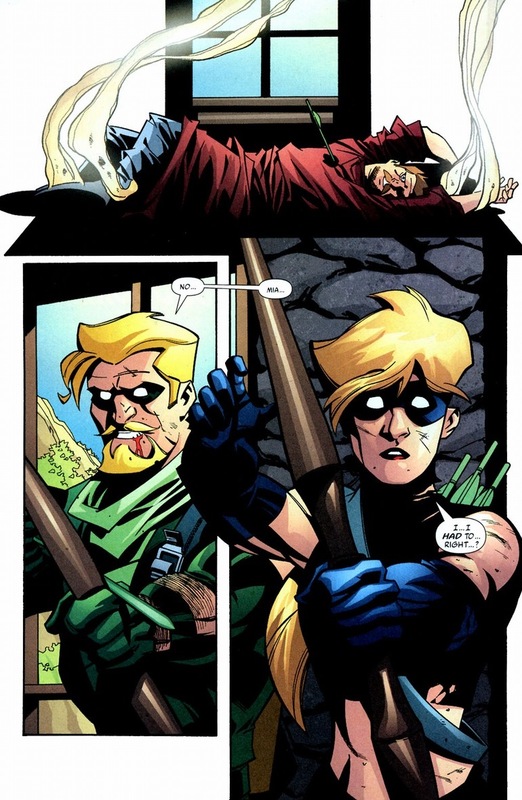 Though since the New 52 reboot, she hangs in limbo with Wally West and Stephanie Brown. On Wednesday, Connor fights a dragon! 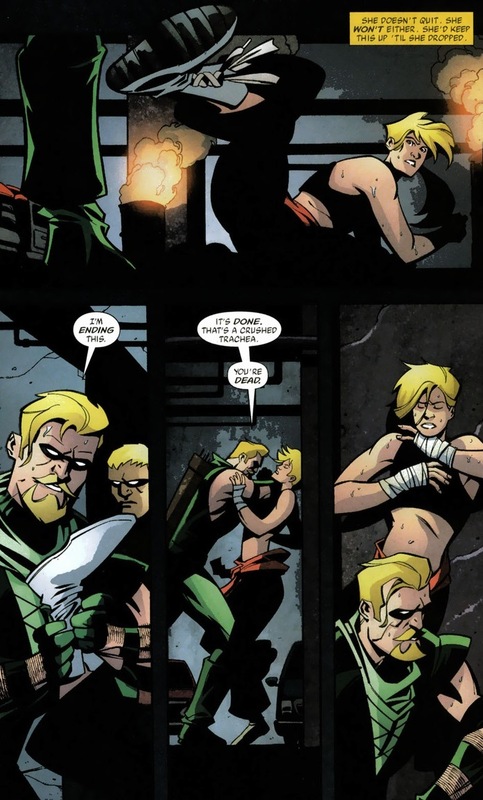 I’m milking this Green Arrow thing forever.